Last year Paul Penzone, a retired Phoenix Police sergeant with 21 years of service, defeated Joe Arpaio to become sheriff of Maricopa County, AZ. Arpaio, 84, had served since 1993 as sheriff of Arizona's most populated county and was known as the larger-than-life "Sheriff Joe" to both his detractors and supporters. His "tough on crime" image was built on policies such as housing jail detainees in a tent city, feeding them bologna sandwiches, and issuing the males pink underwear. He also took a local enforcement approach to immigration law that angered many of his constituents and was supported by others. 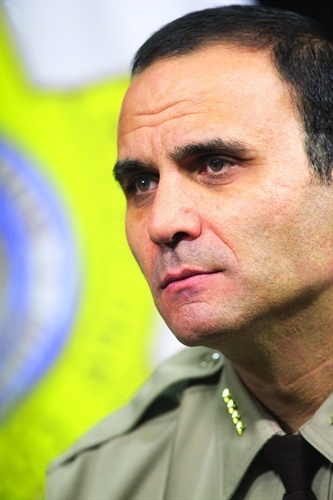 Since taking office, Sheriff Paul Penzone has had to grapple with the legacy of Sheriff Joe, deal with the usual headaches of running a large law enforcement agency, and also answer attacks from both his detractors and his supporters. His detractors paint the new sheriff as an open borders advocate because he didn't fight to keep Arpaio's policies involving illegal immigrants, which were shot down by a federal judge. His supporters are angry that he has not ended all cooperation with federal immigration officers in his jail. He answered both sides of the argument in an August commentary for the Arizona Republic newspaper: "As sheriff I am sworn to uphold all of the laws, not to make them and to judge them." Penzone is well qualified to lead the Maricopa County Sheriff's Office (MCSO). In his career with the Phoenix Police Department, he distinguished himself in patrol and investigations. The Phoenix PD named him Supervisor of the Year and the U.S. Drug Enforcement Agency honored him as Task Force Agent of the Year for his work on a team that busted a large-scale methamphetamine operation in Arizona. 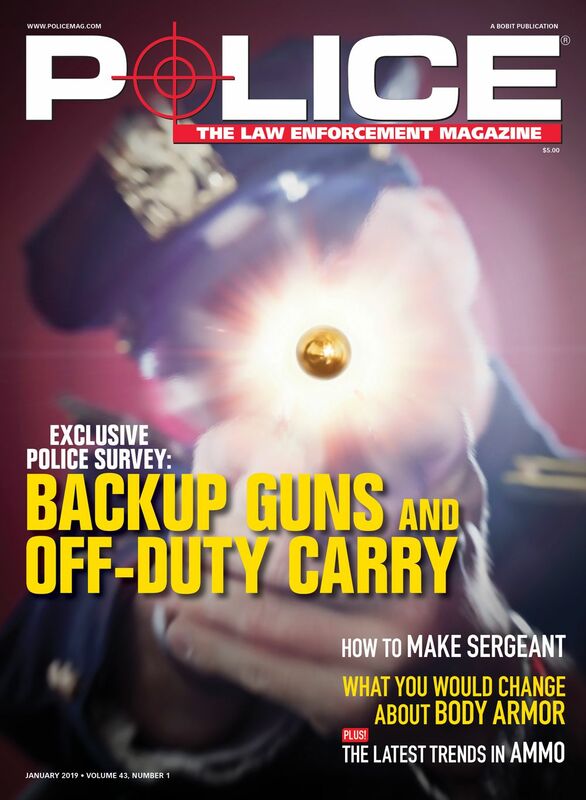 POLICE Magazine Publisher Leslie Pfeiffer recently had an opportunity to sit down and speak with Sheriff Penzone about his career in law enforcement, the direction of the MCSO under his leadership, his advice for officers, and what it's like to be both an officer and a politician. POLICE: What one lesson taught to you by your training officer would you share with fellow officers? Penzone: Know your job. If you don't truly understand not only the responsibilities that you have but the importance of respecting the authority that you've been given, then you're not going to be good at your job nor deserving of it. POLICE: What lessons from your time as a sergeant with Phoenix would you share with new sergeants? Penzone: There are two very critical roles for sergeants. You are responsible for the oversight of the line level work that is done, so you have to be present and you have to be engaged to ensure that you are managing circumstances to the best possible outcome. Secondarily, you need to recognize that you are a mentor, that the example that you give to those who you're responsible to supervise will either position them for success in their careers or set them up for failure. POLICE: With your background, wouldn't it have been much easier for you to become a chief and avoid politics or did you have a passion for a political office? Penzone: I did not have a passion for political office. My pursuit of this office was because of what occurred here, and what I believe was a misrepresentation of who we are as a profession, that the priorities on behalf of this organization were not in alignment with what was our best interest. I was not looking to be the head of a law enforcement agency. I was just looking to be a difference maker anywhere there was a need. POLICE: You ran for sheriff and lost by six percentage points in 2012. What lesson did you take from that experience that helped you win last year? Penzone: The only lesson was having a better understanding of the political process. I actually had to learn about the process, but I didn't change at all. That same message I emphasized in 2012, I stayed true to in 2016. The difference, and I guess this would be what I learned, is I spent more time in front of crowds that could be deemed either as non-supporters or even adversarial. It's no good to run in the circles where people already support you or believe in you. So I spent more time in front of crowds where I needed to earn their trust and their votes. POLICE: What steps are you taking to reduce crime in Maricopa County? We have also created a fugitive apprehension team where we have, you know, 30,000 unserved felony warrants in Maricopa County. That's a big deal and I don't expect to find all 30,000 overnight, but people who are wanted in those circumstances more often than not are the repeat offenders. The other part is rebuilding a relationship with the community. Our greatest asset to fight crime is to have a partnership with our community where they're willing to share information to help us serve them. I worked undercover narcotics and on the Federal Task Force while I was with Phoenix, and then I ran Silent Witness (www.silentwitness.org) and the lesson that I learned from that was that the community knows far more about crime than we do and who's responsible for it. And if you give them an avenue, and you earn their trust, and you empower them to be your partner in this effort, you're going to see greater success. 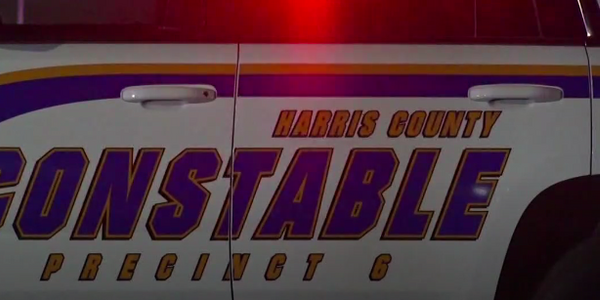 POLICE: What steps are you taking to improve the safety of your deputies? Penzone: We have to invest in their mental and physical well-being, which we're doing. We have to invest in their training. We have a considerable amount of training because of the court orders that we're responsible to answer to—and it's good training, but it does deplete your ability to train them in tactical areas. So we're trying to find ways to make sure that we're reinforcing their safety practices. 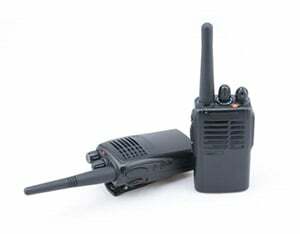 The biggest challenge with officer safety is always going to be their skillset along with proper staffing. When I got here, it seemed like there was a cookie-cutter mold to how we were staffing each district, regardless of the demand. We reevaluated that to determine if we need to bring more bodies from one particular area into another where there's a higher volume of calls for service or even crime or other issues. We also have to do a better job of recruitment and retention of our employees. This is an agency, because it's been challenged with pay in the past, where someone may come here and work for a few years and move on to another agency where they get paid better. We can't have that. We have to be competitive in our pay. POLICE: Your predecessor was criticized for conditions in his jails, specifically about treatment of mentally ill people. How are you improving these conditions? Penzone: We—and a lot of these things did take place prior to my arrival, so I'm not going to take full credit for them—have Correctional Health Services, which is an independent body within the county that is responsible in the jails to address those issues. But we are the ones who have first point of contact all the way through the process and have a big responsibility over that. How we treat others is not a reflection of who they are, what they've done. It's a reflection of who we are and what we stand for. So when you engage someone, be safe, take appropriate action when necessary, but ask yourself, if that was a loved one that you had who was incarcerated, and some complete stranger who was a deputy or a detention officer engaged them, what would you expect for that person? How would you want to see them treated? That doesn't mean kid gloves. That means being professional and ethical. POLICE: Is there any positive aspect of the previous administration that you plan to continue? Penzone: There are many areas that are positive. It's just that, you know, can you improve on them and see if the value still continues. So what was termed in the past as the "chain gang," I'm still, you know, thinking about. So do we just change the name? Detainees who spend time in our jail can sit in a cell and do nothing for 24 hours a day and then be released when their time comes around or we can find a way for those who are deserving to take those idle hands and make them active, to put them out in the community to clean a park, or paint over graffiti, or whatever. I think that program is extremely beneficial both for the detainee as well as for the community. POLICE: What do you see as the greatest concern of the men and women who serve in your agency? Penzone: Instability, you know, they had one type of leadership for a quarter of a century. And, for many, that's the only leadership they've known. So they have legitimate concerns relative to their careers here, things such as benefits or salaries or where they're going, and what they can expect and promotional opportunities. And I have to establish that sense of consistent, fair leadership so that they know we're all investing in each other. POLICE: Are there any technologies you want to add to MCSO and do you have the resources to do so? Penzone: Yes, I do want to add a (Compstat) system to actually track crime trends within the county, calls for service, things of that nature. We need to see statistics so that we understand the trends. We need to understand what we're doing well and what we're not by having measurables. 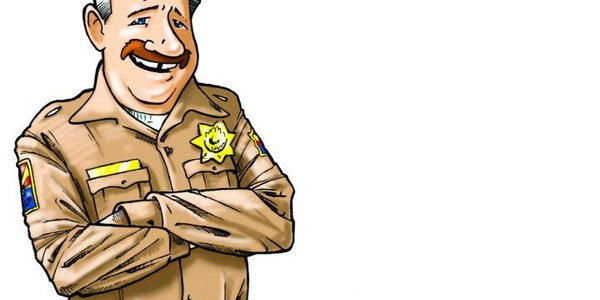 POLICE: What is one piece of advice that you would offer to a fellow officer who wants to someday campaign for sheriff in his or her jurisdiction? Penzone: Just make sure that your commitment is not because of your own pursuit as a person but it's because of your pursuit to make a difference in the community that you serve. I'm blessed to be the sheriff. Every time I speak, I'm not speaking just for myself, I'm speaking to represent every man and woman in this agency, this office, and this community. So if your intent is selfish because you want to have a title or you want to have the authority, then it's the wrong pursuit. What's that saying? "Was the juice worth the squeeze?" You're going to get abused if you run for a political office, and if it's about you, then it's going to break you. If you make it about those you're trying to serve, it's a heck of a lot less painful because then it's no longer personal. It's about accomplishing something greater on behalf of others. POLICE: How do you decompress? What do you do in your down time? Penzone: I'm a man of faith. I pray. I’m also very much a family man. I have a beautiful wife and we have two amazing grown sons so time with my family… And we stay pretty active.